Frances Leate discovers the many faces of Spain's Sierra Nevada region. Looking across to the snow-capped mountains that surround the rolling hills of Andalucia, it was hard to believe it had been such a gloriously hot day. But the bruised pink and purple sky slowly fading behind the Sierra Nevada certainly gave the game away. From our private balcony at the secluded and luxurious Barceló La Bobadilla Hotel – nestled in a sun drenched valley 40 miles from Granada – I marvelled at the beauty of the Sierra Nevada, the highest point in mainland Spain. The Granada province has a lot to offer visitors – one of the few places in the world where you can find yourself skiing in the morning and then lying on the beach in the afternoon. Whether you're basking in luxury in one of its many boltholes, or in the thick of the hustle and bustle of the city, there's so much to see and do. After a few days in Granada, taking in the Moorish architecture, street performers and delicious Spanish/Middle-Eastern cuisine, my husband and I were ready for a bit of R&R in a little hideaway where we could relax in luxury and enjoy what the region had to offer. In fact, as we watched the sun go down from our ridiculously large balcony, it occurred to me that we'd not only escaped the crowds but we were actually getting to enjoy the region in absolute privacy. 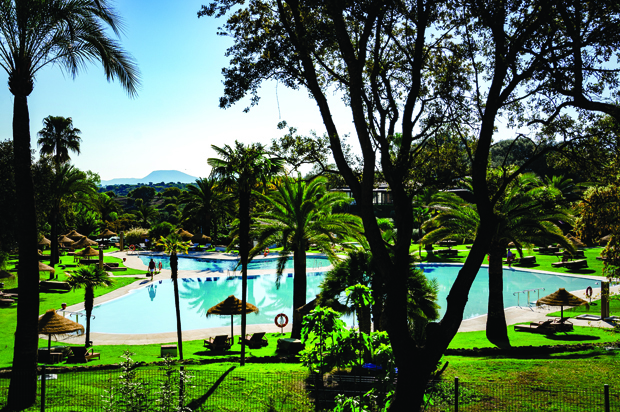 Barceló La Bobadilla offers guests privacy, comfort and glamour. 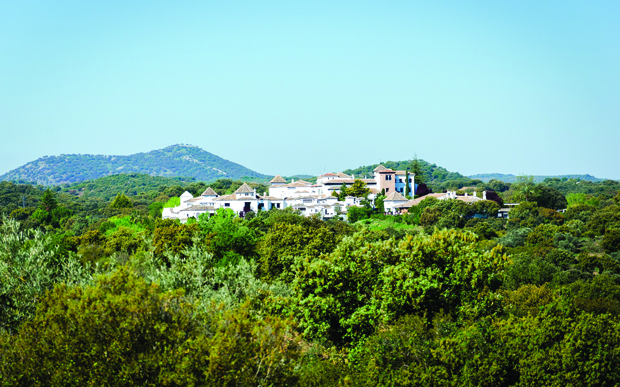 The breathtaking hotel is set in 350 hectares of glorious land, ripe with olive trees, holm oaks and almond trees. It was actually built 30 years ago, but you'd never know it. 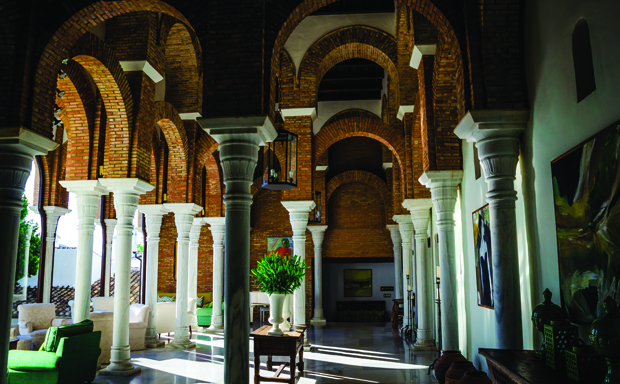 With impressive marble columns lining the airy reception, enormous rooms (more like apartments) made with fine wood, marble and brick, it really does look like a very well preserved Andalucían palace from Medieval times. Once you've got over the size of your room (it took my husband a good 20 minutes, commenting that the bathroom was bigger than our entire flat) there's the choice of three top-notch restaurants to enjoy and a large oasis style pool. The hotel also has its own horse stables. Later that day, we took a saunter down to the impressive pool, where members of staff hand out fluffy towels and serve you cool drinks and bar food from the comfort of your sun loungers. The sound of pan pipes, trickling fountains, and birds singing is momentarily broken during the afternoon by the ringing of wedding bells from the pretty little chapel in the hotel's quaint square. The next day, having explored every nook and cranny of our ginormous room, we got round to reading the welcome pack, which included a map of the grounds with information about tennis, badminton, horse riding and hiking. After our banquet of a breakfast in one of the hotel's dining areas, we promised ourselves we'd set out on a bike ride after stopping off first at the pool for a quick dip. But by the time the afternoon rolled around again we were still horizontal on our loungers, as our stay effortlessly melted into a Groundhog Day-style holiday of sun bathing, eating and sleeping. 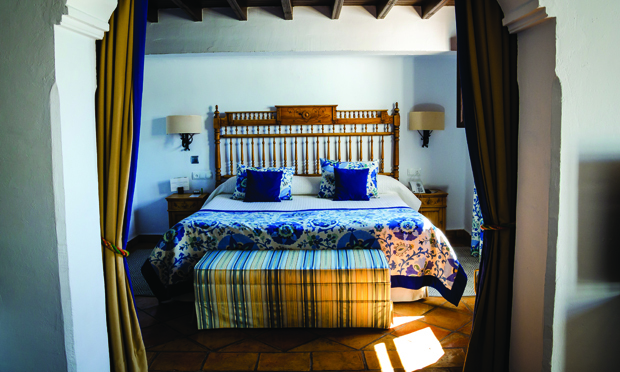 Personally, these are the holidays dreams are made of and La Bobadilla is the perfect place for dreams.